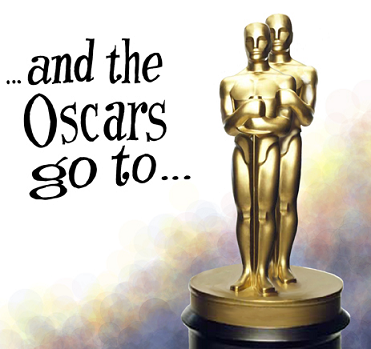 I promised you guys in my earlier post that I would watch all the oscar nominated movies and tell you who I thought deserved the oscars! For me this HAS to go to Jeff Bridges in Crazy Heart! This guy can ACT! Like damn! And he has this ability to transform so dramatically between roles, I liked Crazy Heart as a movie, it was very cute. Second would be Colin Firth in A Single Man. The movie was very artistic, and his performance was very theatrical. Very nice. Then it would be Jeremy Reener, because he does a very passionate and convincing role as the bomb detinator, the cockiness, arrogance and swag was on P! I am normally a big Morgan Freeman fan, and I did like him in Invictus. However I feel he didnt step out of his usual role in this movie. It will never be easy to play Nelson Mandela, but I dont see anyone else that could have done it better than him. Dya guys get my drift? And I do not even feel George Clooney deserves a nomination for this role. He just played a character that was very similar to his real life persona so kini big deal? This oscar HAS TO GO TO Christoph Waltz. There is absolutely NO competition. To be fair, I have not seen the Messanger, but there is nothing anyone can act that will convince me otherwise. To me he was the STAR of this movie. He spoke 3 languages perfectly, he was mean, funny and articulate. I googled him as soon as I finished the movie to find out where he has been all my life! Matt Damon also did a good job, his accent, his rugby and the change in his physique were really impressive. I have actually not seen The Lovely Bones and The Last Station either! LOL! its hard guys, u know how movies dont come out in Jand forever. But I still stick by my choice! This to me is the hardest category. I love love all the nominees and think they all did excellently in their roles. The winner here should be Sandra Bullock for her amazing role in The Blind Side. She portrays a strong minded woman and gives a very convincing energy to her character. But its hard for her to compete with the older actresses whose roles are way more complex. The runner would be Gabourey Sidibie because I thought she did an excellent job in Precious. I loved that movie, even though it was ridiculously heartbreaking, but its a great story. It takes a great actress to portray such a disturbed girl, and act so dumb. It is an honour for a young girl in her first ever role to even be nominated amongst such prominenet names. Realistically though, as much as I want her to, I know she will not win . Even though I have not seen The Last Station, I feel Helen Mirren might win, just cause she is who she is. Even in the preview, I could already sense the power in her performace, and you cant doubt that it comes from over 20years experience in the industry. Meryl Streep is probably bored of the oscars now cause she is nominated every year, but I think she has done better roles that are more deserving of her oscar nominations. I do like her performance in this role, where she plays a some-what crazy, funny, french food obsessed American. However, because of the standards she has set for herself from Sophie's choice and having been nominated 16 times since her first nomination in 1979 for The Deer Hunter (13 for Best Actress and 3 for Best Supporting Actress, )plus she has 25 Golden Globe nominations as of 2009. She won the G.G this year for her role in Julie and Julia though, so theres a great chance that she could win this too. Carey Mulligan is definately not going to win for her porttrayal of a coming of age British teen, but her perfomance is not bad. Mo'nique should win this NO doubt. Her final scene in precious, where she cries infront of her social worker played by Mariah Carey was absolutely incredible. It was even more so for her, because she hardly plays powerful roles/powerful women, always stuck in black comedy roles, but I started respecting her as an actress as soon as I saw this. She made me hate her character so much, and it takes talent to play such a monster. Penelope Cruz comes second here, for her usual sensual role, all singing, dancing and showgirl. She was on point throughout. Vera Fariga and Anna Kendrick are just there jo. This Up in the Air movie is just hyped up for no reason. Yea they both played thier roles well, but nothing oscar worthy to me. Maggie Gyllenhaal deserves a nomination, but nothing more. This is a toughie. They are ALL great screenplays. But again, I really liked Precious. I also really liked District 9, it was a very uniqe storyline with a powerful message behind it. In the Loop was British satire at its best, the actors did a great job, and I don't know why they are not nominated individually. Up in the Air is also a good story line, that deals with people with a unique lifestyle, it has some great speeches and one-liners. An education does not deserve a nomination to me. I would pick Precious followed closely by District 9. Again, I have not seen The Messanger so I can't judge that. But I would pick Up. It is a great story that deals with a complex issue under the guise of animation. Powerful Stuff. Inglorious Bastards will follow that, it puts a creative twist on history and is quite funny. It is followed by Precious(am sure you guys are noticing a pattern, LoL). Then The Blind side, which an inspiring movie. They are all great movies to be honest, although I don't know why an Education keeps popping up. Its good, but not all that. I think Crazy Heart should have been nomonated instead. This is an easy one. 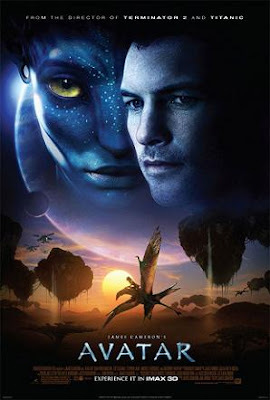 James Cameron took 15years to make Avatar. Enough said. 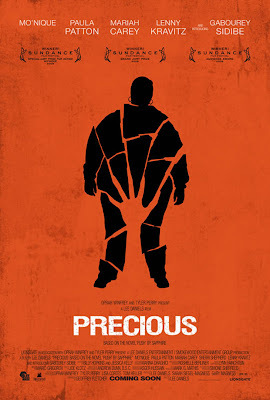 Then Precious was also well directed, and having watched an interview with this guy, I think he is deserving of an oscar for telling a story so gruesome without fear or compromise. I would also be happy if Kathryn Bigelow won, firstly because she is a woman(yes I am sexist), and it would be great to see a woman pick up an oscar for direction. But also because if there is one thing I can give this movie, it is very well directed. The cinematography is also great, and so is the scenery and soundtrack. It is also a very low budget movie, and for it to do so well with limited funds shows ingenuity. Avatar. Did you guys see this in 3d?? No contest. I have not seen The White Ribbon, but the preview looks like it would have great cinematography. I don't know why A Single Man was nit nominated for this, because to me, it had a great picture. Am sure you know I would pick Avatar for this. 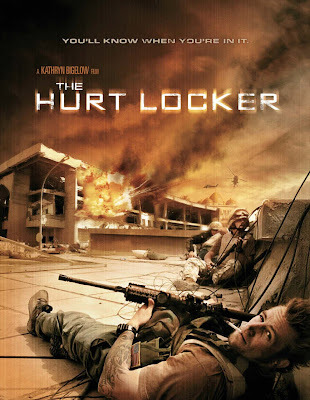 The Hurt Locker comes close as well, especially all those desert scenes. Although the budget of Avatar is a thousand times more than any of the others, its not really fair competition. Inglorious Bastards also looks great. The final bombing scene was beautiful. Harry Potter was good as well, but will defo not win. So that's it folks. My big winners are Avatar, Precious and the Hurt Locker. I hope my selections win oh! I will not be able to watch the show cause it is 12.30pm here and I am about to go to sleep. But I will list the winners for you tomorrow, and we'll see how accurate Miss B's movie selection is! You got many of them right, I'm happy for Bigelow and Hurt Locker for Best Direction but I had hoped for Avatar to get more wins, lol. Nice evening and everyone in top form. Congrats to the winners esp Monique, she was really powerful. Sidibe tried too, their fight in Precious took me by surprise and brought tears to my eyes. Kudos to the director for telling the story in such a way. Based on the great degree of accuracy of your reviews on the Oscar nominees in this blog, it is our pleasure to invite you to the Board of Oscar judges [Jnr]. We have chosen to ignore your inclination to partialty[avatar], your lack of commitment [Hurt locker] and your unappreciation of minutae emotions and twists [Up in the Air]. We hope that your objectivity will be finetuned during your internship this coming oscar year. On the plus side, you will help us in the gruelling work of watching all the idiotic high/low budget movies that will get produced this year. lol.on kini big deal about Clooney in 'Up in the air'. Separate the man from the movie na. It was a great twist on what would have been a regular chick flick! That call Vera made from the car after he came to see her was like 'de ja vu'. like i have read, seen, heard so many scenes like that but.......ALWAYS FROM A MAN!! I'm only sad Avatar didnt get best picture or James cameron/Best director. methinks they are beefing all the money he has made. Lmaoooooo at Ginger! Please dont kill me with laughter oh! I am glad that my predictions came true! And yes I could sense the beef for Avatar too! I'm so not happy 2012 didn't even get an award..Its so disheartening.